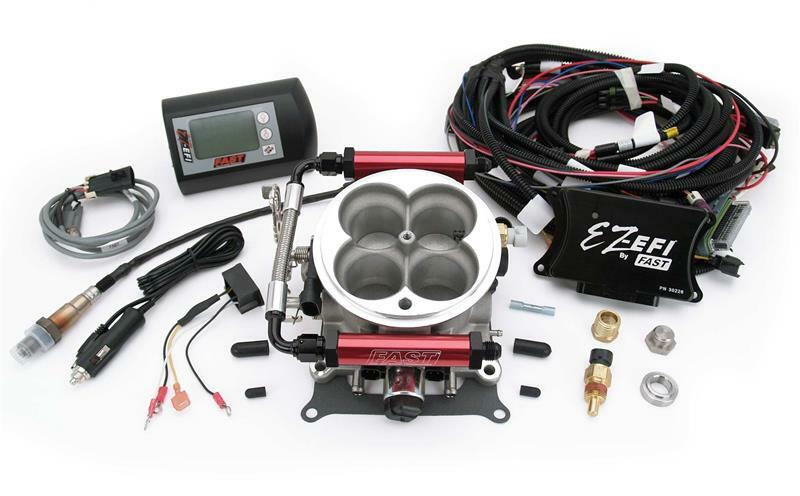 The EZ-EFI System easily bolts onto any carbureted application in a single afternoon, making it the easiest EFI system you will ever install. Simply hook up the system, answer the basic Setup Wizard questions on the hand-held unit, and the system will tune itself as you drive. That’s all it takes! And with our industry leading, in-house engineering team, you can rest assured that your investment is backed by a company that will be here after the sale. Regardless of the make or size, this system easily bolts on to any carbureted engine making up to 650 HP – NO manifold replacement is needed. In addition to matching any 4150-style carbureted manifold, the EZ-EFI Self Tuning Fuel Injection System also works with your original carb-style throttle linkage and features OEM sensors, including standard GM versions available at any auto parts store. What’s more, EZ-EFI works with all ignition setups – including HEI. The EZ-EFI can be installed easily in an afternoon and is a “must have” for your street rod or muscle car.